As a regional coordinator for HEAL, I was invited to a human rights conference, during which we presented a legislative agenda to congressional staffers to fight abuse of institutionalized youth. I had to be flown on a commercial airliner to this event. HEAL paid for travel and lodging costs - so there will be no arguing about how I must have been made of money to afford this trip. This 2-part photo shoot deals with items of roadly interest only - though a majority are aerial. Markland Dam on the Ohio River. Kentucky is on the left; Indiana is on the right. The Markland Dam roadway is KY 1039 or IN 101. 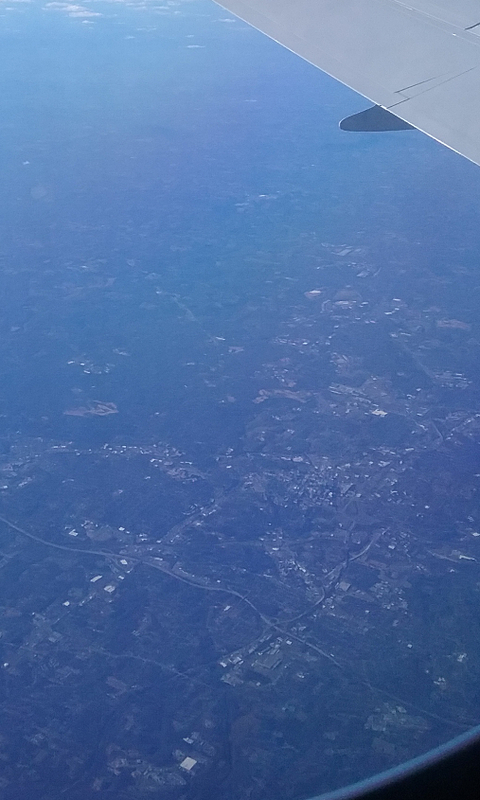 Flying over the southeast edge of Louisville, I-265 runs across the bottom of the photo. 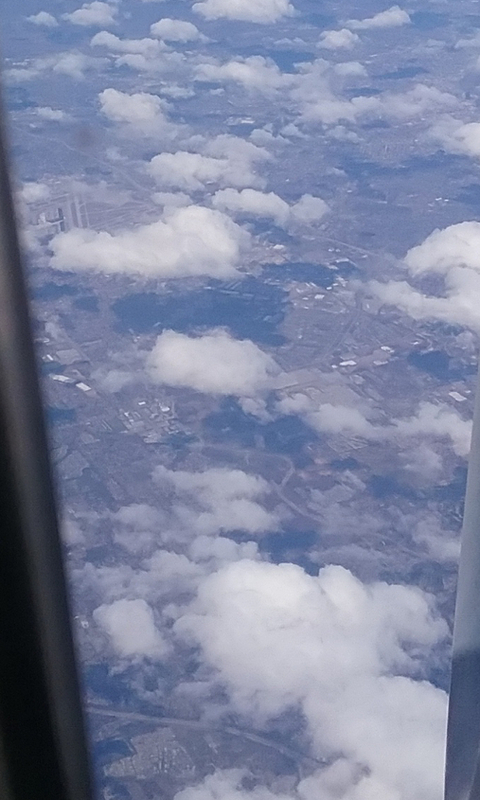 Louisville International Airport (the former Standiford Field) is near the upper left. 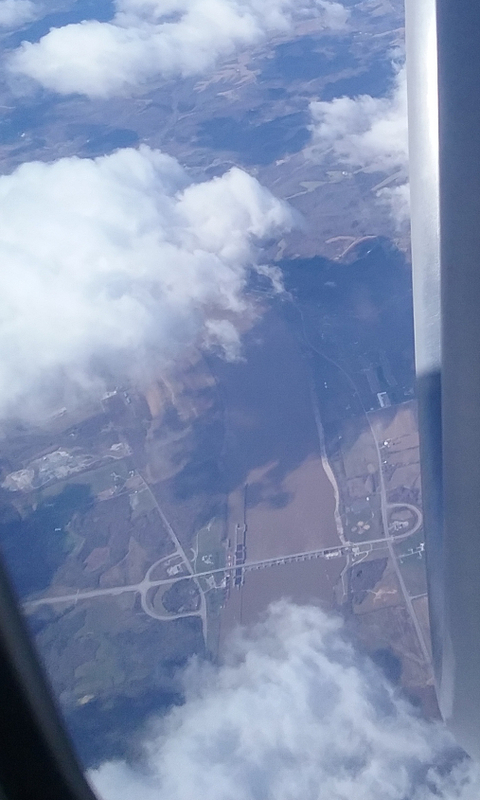 Elizabethtown, KY. I-65 runs horizontally near the bottom. 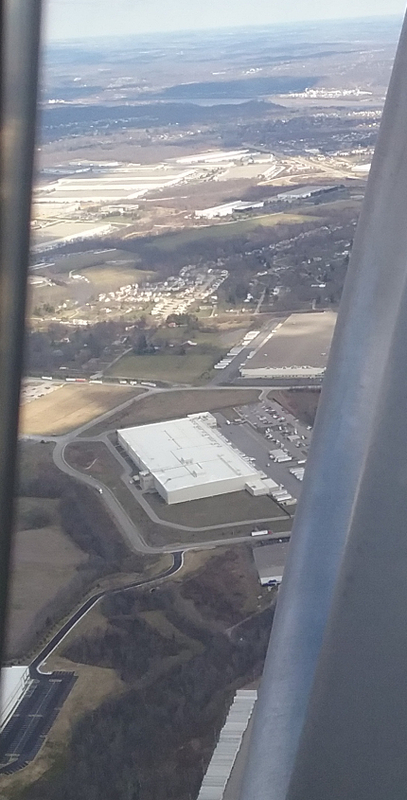 You can even see the baby ramp to KY 61. 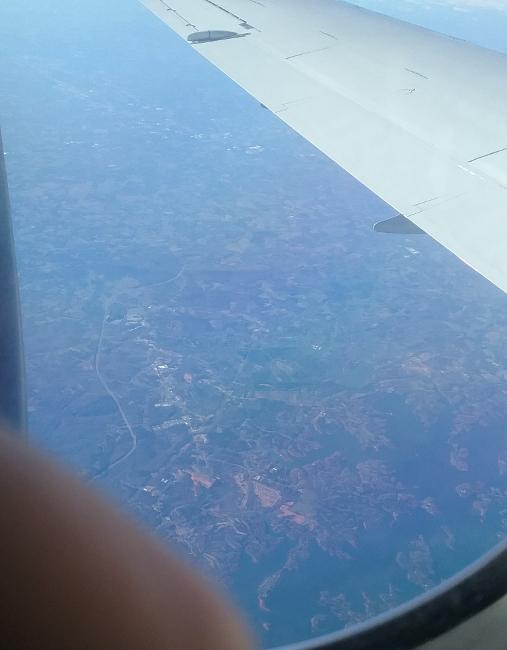 As we approached Atlanta, I was holding my shirt over my face to block the stench of the Limburger sandwich the guy sitting next to me ordered. 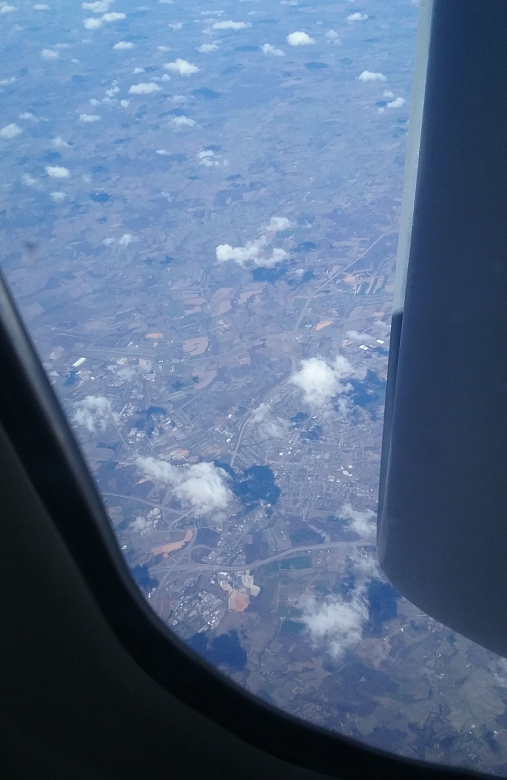 Here you see Atlanta in the distance, with some typical suburban buildup - probably on the south or east - in the foreground. 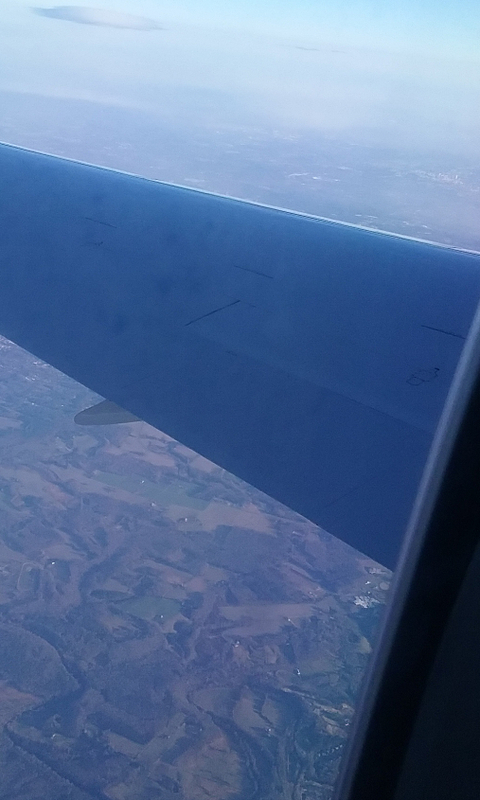 The flight from Atlanta to DC was delayed by 2 hours and was absolutely miserable. 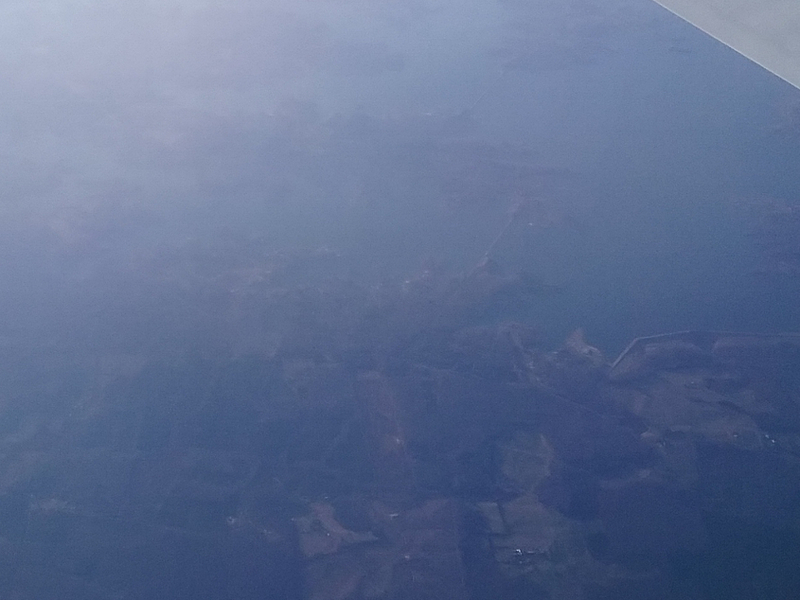 This is Lake Hartwell, which was formed from the Savannah River. Georgia is on the left; South Carolina is on the right. In front of the dam that impounds the lake, you see the US 29 bridge over the Savannah River. Crossing the river closer to the bottom of the photo is the bridge on GA 181 or SC 181. 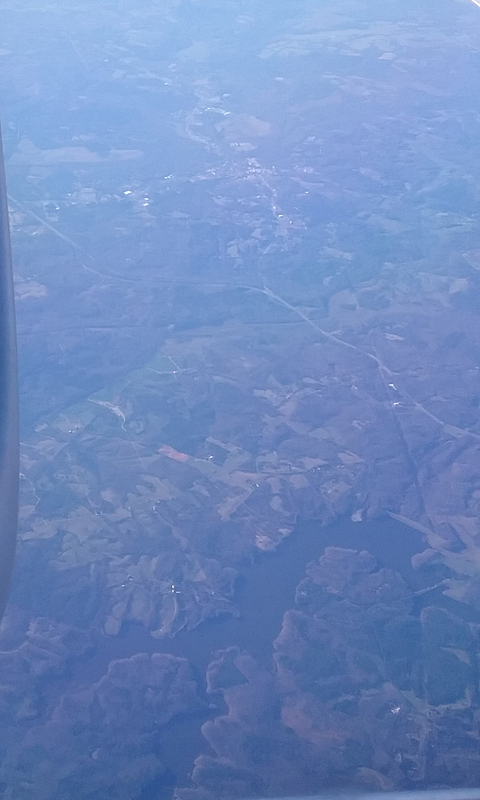 Lake Norman - a reservoir formed from the Catawba River north of Charlotte, NC - fills most of the lower right quadrant of this photo. NC 16 is the road running roughly vertically near the left of the picture. Winston-Salem, NC. I-40 runs diagonally from the lower right. 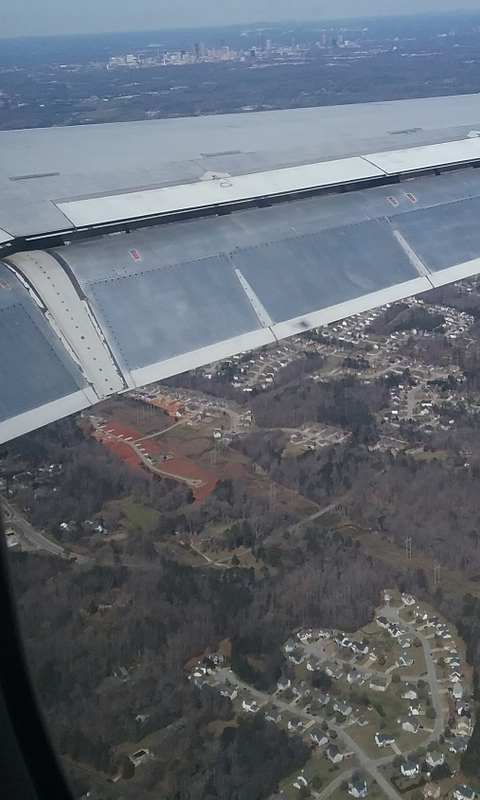 Reidsville, NC, is near the upper right. 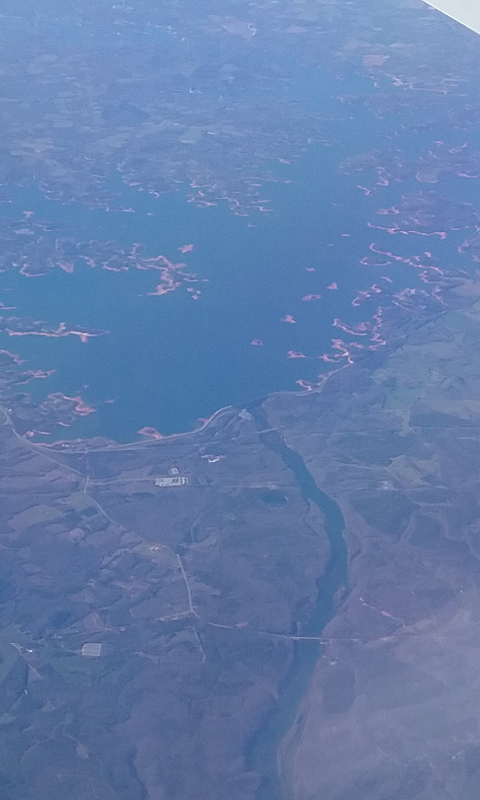 Lake Reidsville is near the lower left. 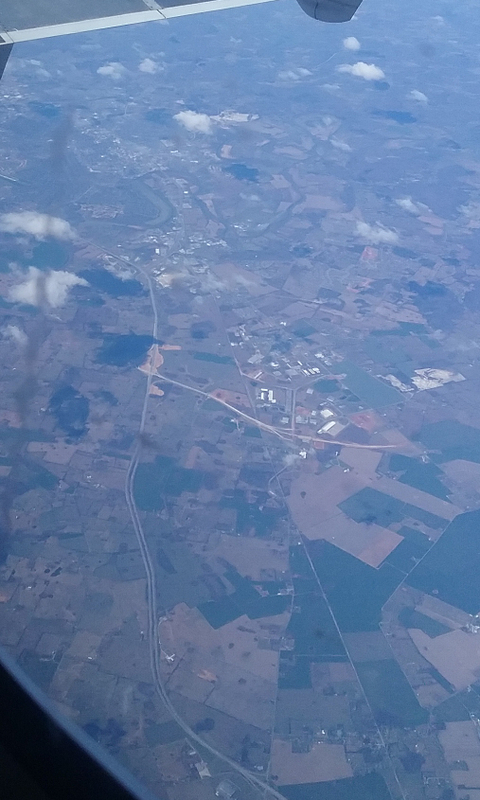 Sandy River Reservoir, with US 460 and Farmville, VA, in the background. Lake Anna, northwest of Richmond. The 5,000-foot-long dam that forms this lake is on the right. The lake was built primarily to serve a nuclear plant. Plans for yet another reactor there have met almost universal opposition. 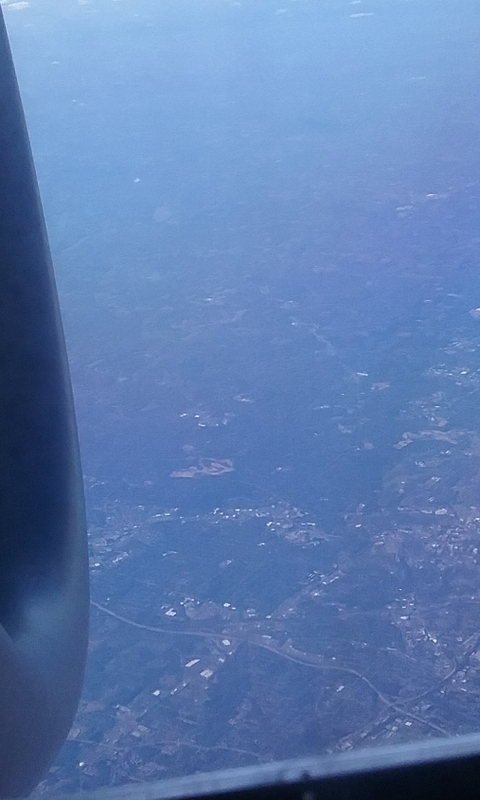 This is where the plane looped in circles over Virginia for no apparent reason. I'm pretty sure Richmond is at upper right. 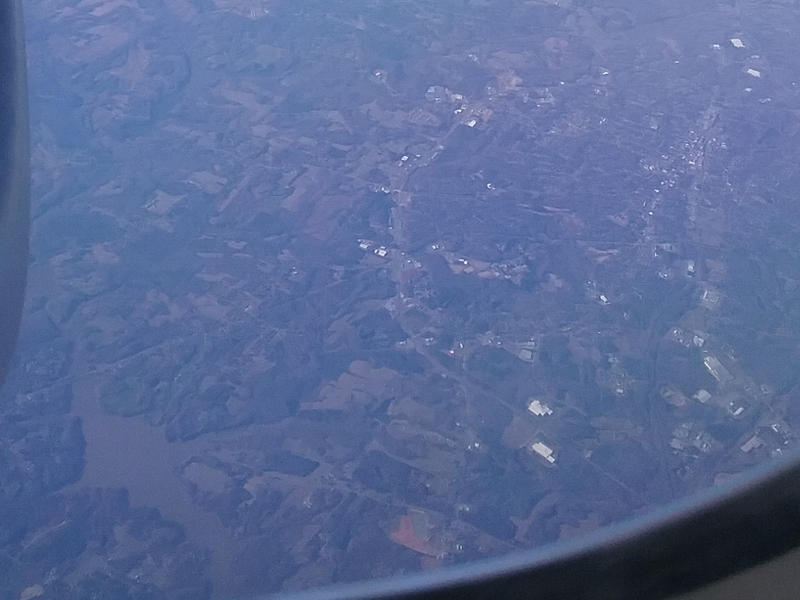 The Rappahannock River in Fredericksburg, VA. I-95 crosses the river in the center of the photo. 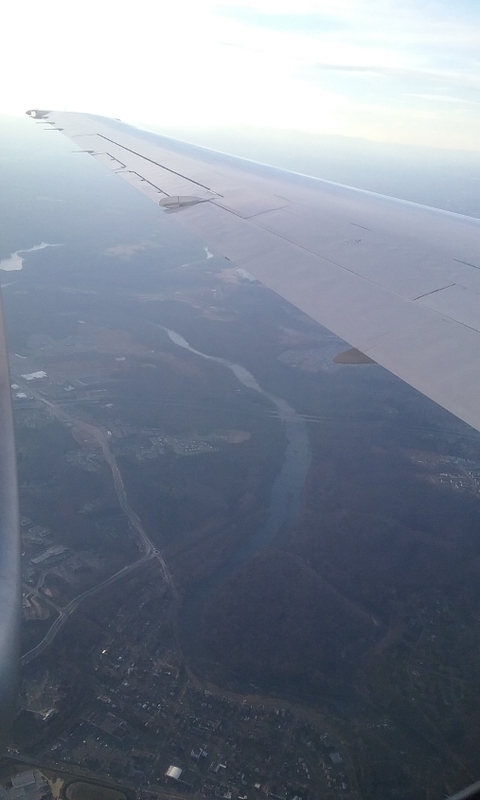 Now we're on the ground in Washington, DC. 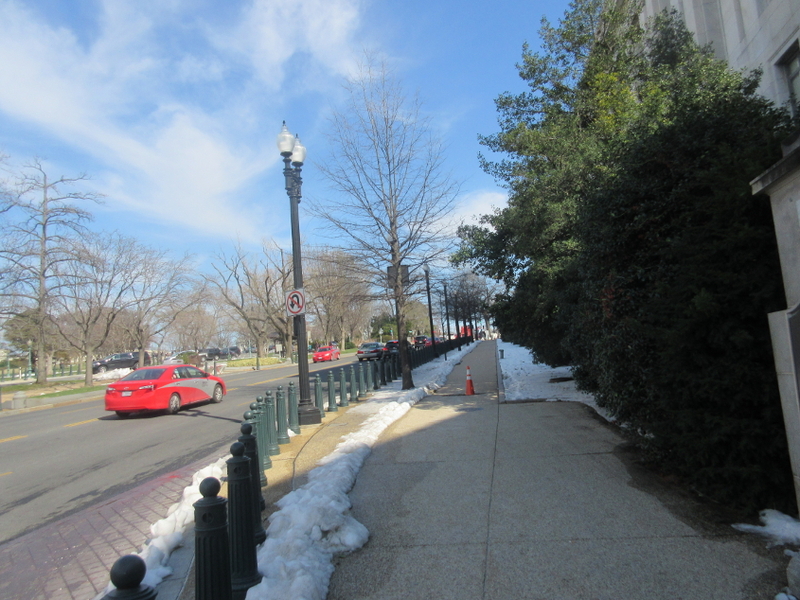 Fond memories of DC will last a lifetime, and it may be my favorite city to visit. 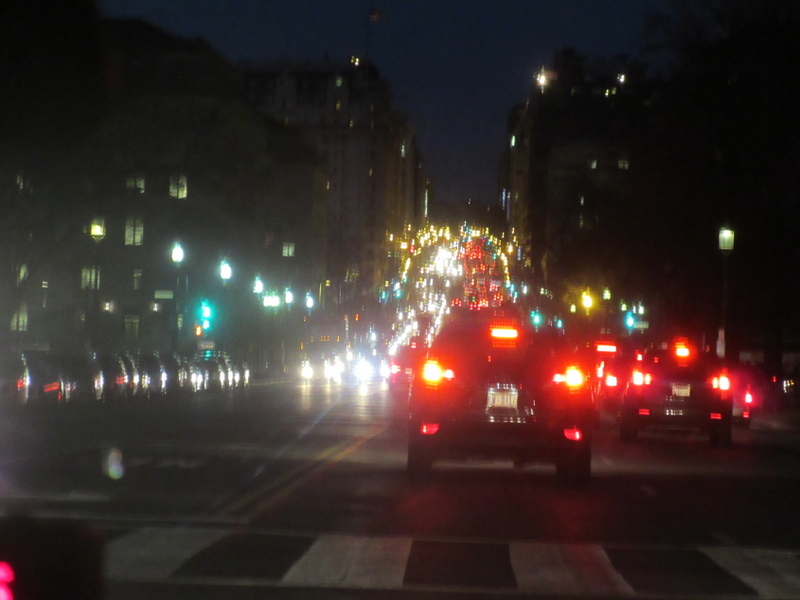 This might be north on 14th Street NW, but I'm not sure. It may even be US 1 here. If so, it's right by the Smithsonian, of all places. G! Gum! 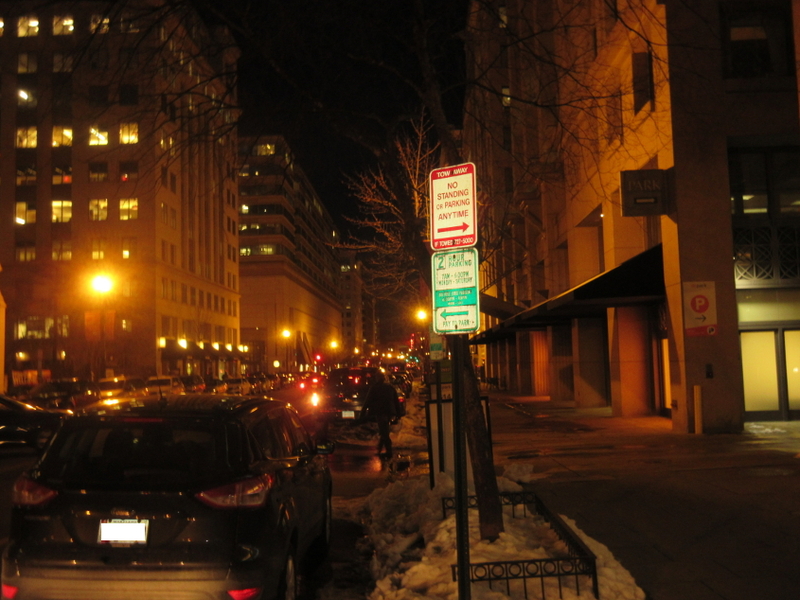 Pretty sure this is G Street NW. 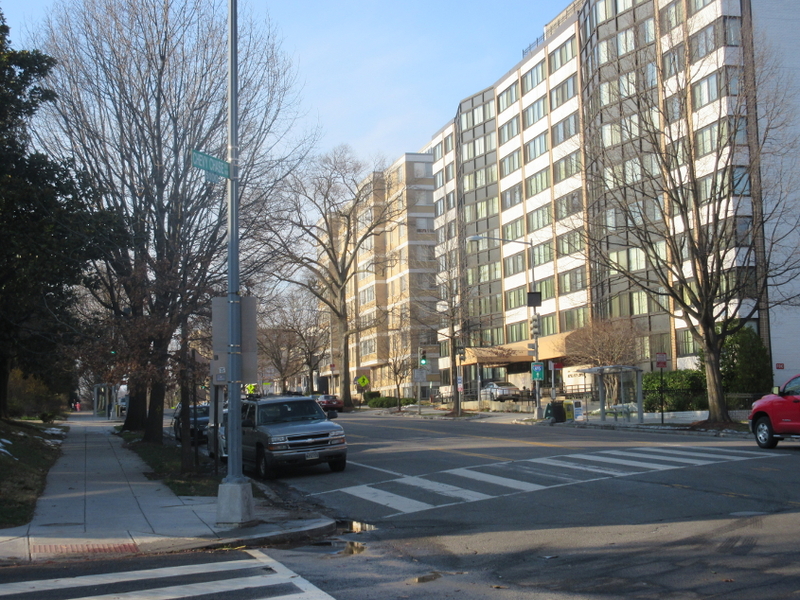 East on Independence Avenue SW. This was when we visited House members' offices and saw the Blair from The Facts Of Life look-alike. Independence Avenue SW with the Capitol in the background. A long-running family joke. 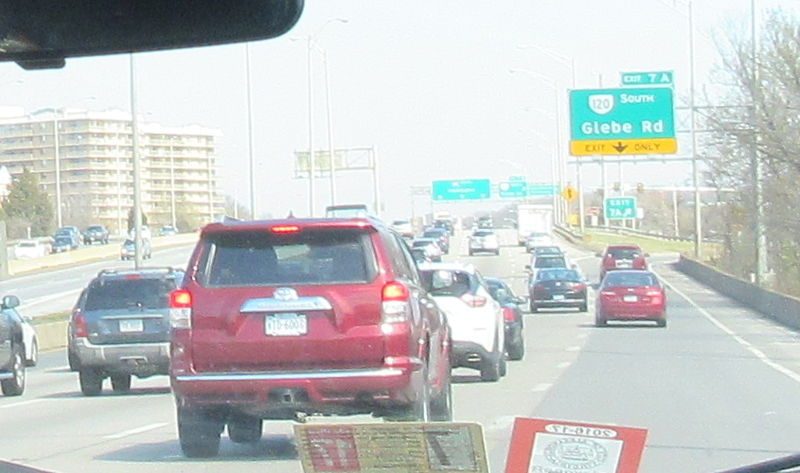 This is on I-395 in Arlington, VA. Glebe Road was the site of a motel we stayed at on a family vacation in 1986 (the trip where someone kept farting). It was noteworthy because we had reserved it as a Holiday Inn, but it was dropped from the Holiday Inn chain before we arrived. Glebe Glebe Gleeeeebe! Early plans called for I-95 to use what is now I-395 through town, but public opposition killed that proposal. Funds for building I-95 through the city were instead wisely used for the Metro, the region's commuter rail system. 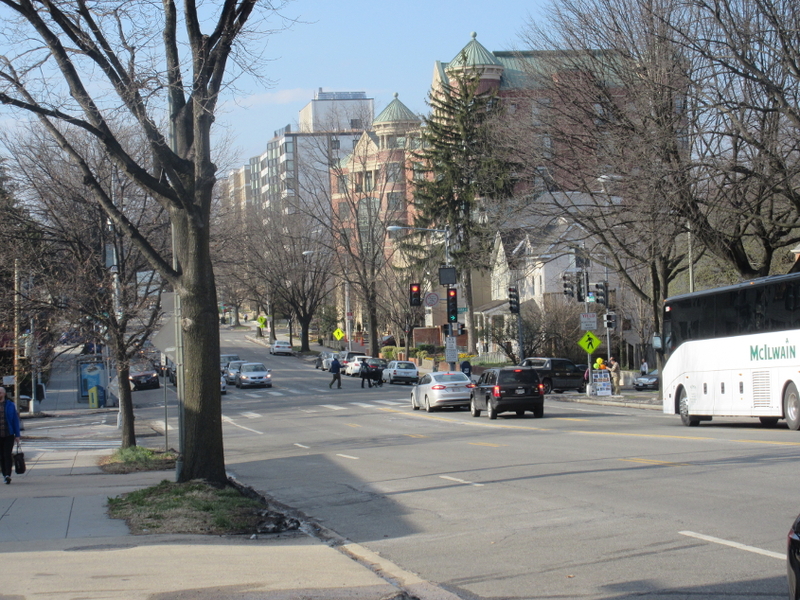 Back in the District, this is Connecticut Avenue NW. This used to be Alt US 240. At Connecticut & Nebraska. 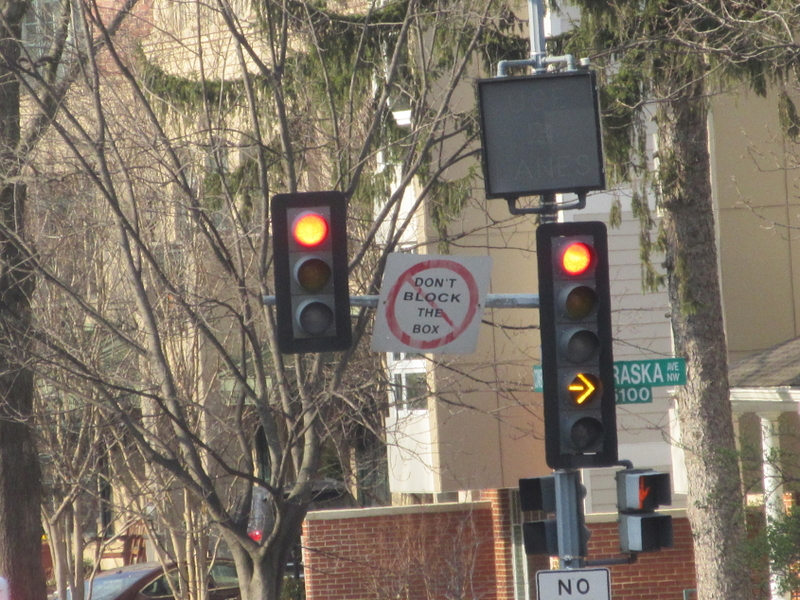 I'm not sure what this "DON'T BLOCK THE BOX" business is. 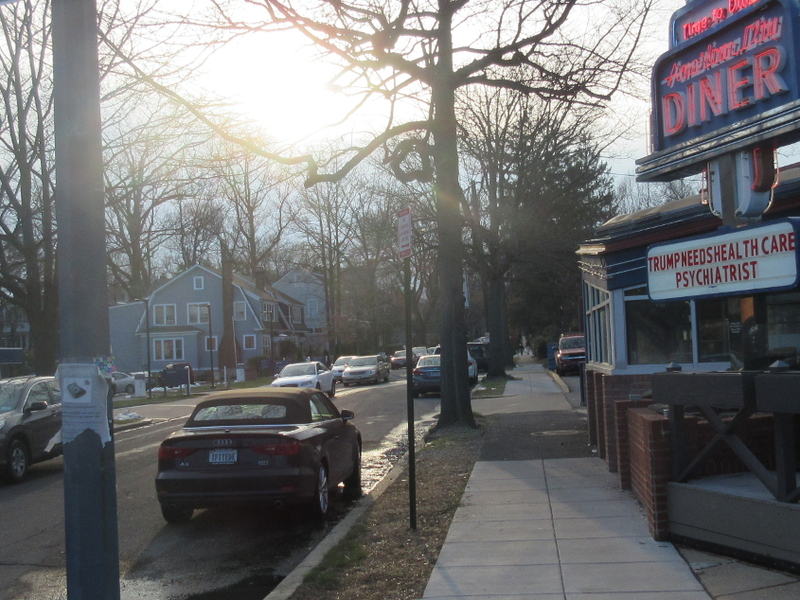 Connecticut Avenue at Chevy Chase Parkway. Anyone else think it's hilarious that there's a neighborhood called Chevy Chase? Whoa! Somebody didn't like ol' Hill! 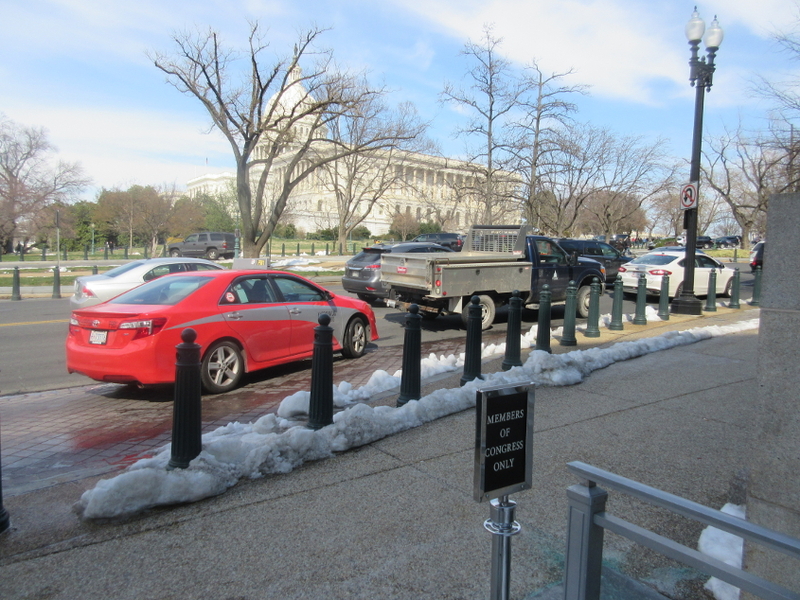 This is also on Connecticut Avenue. They didn't like the Donald either! 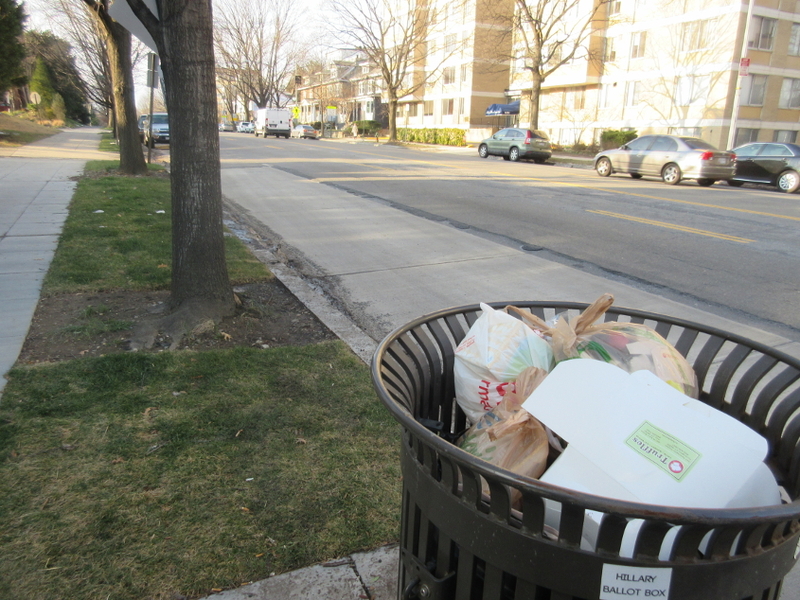 This is west on Morrison.